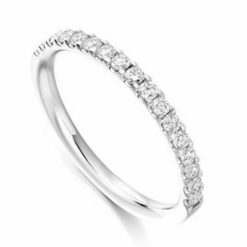 Traditionally an eternity ring, sometimes known as an infinity ring, is set with a continuous line of identical diamonds to symbolize never-ending love. 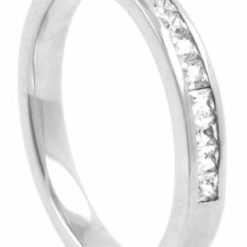 Our collection is presented in half-eternity settings perfect to be worn every day as a wedding ring to accompany a diamond engagement ring. 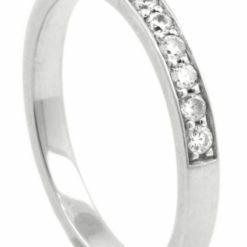 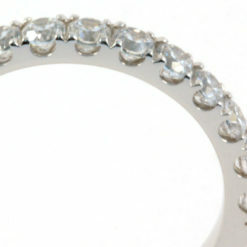 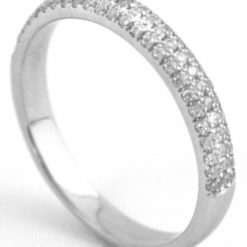 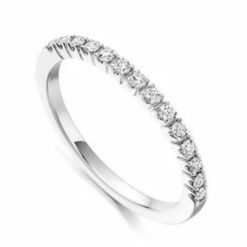 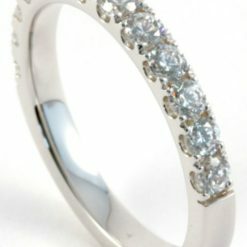 An eternity ring is typically given as a romantic gift to celebrate a special anniversary, the arrival of a new baby, or simply as a token of eternal love and life. 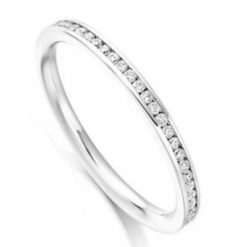 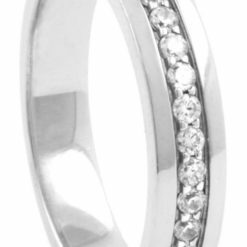 Our eternity bands have been carefully handcrafted by skilled jewellers. 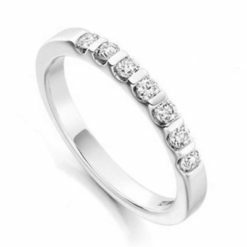 We have options to suit all budgets, and all our eternity rings are available in a range of metals including platinum, palladium, white and yellow gold. 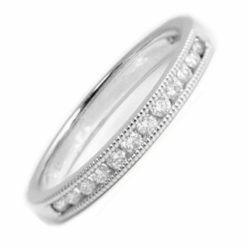 Browse our selection online or book an appointment to view our beautiful diamond eternity rings in-person in our Dublin showroom.